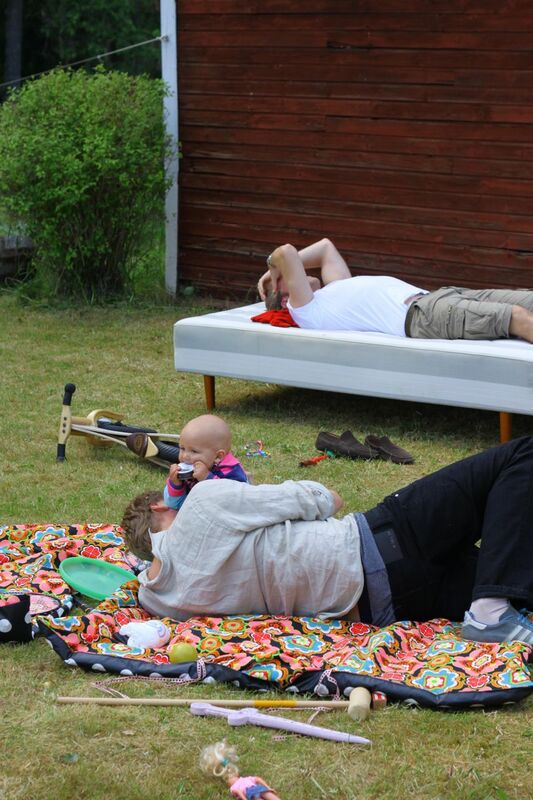 So what happens at a Swedish midsummer? Well, we celebrate the summer, we put flowers in our hair. 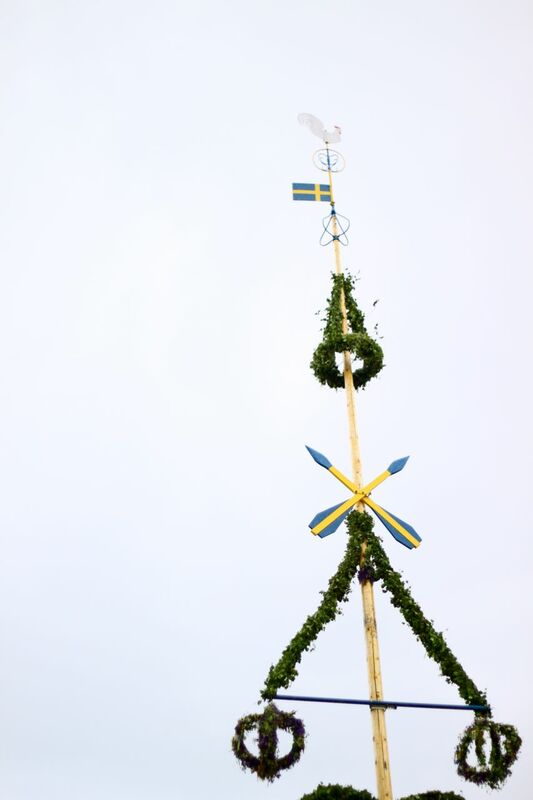 We eat sill (herring) and we dance around a big pole which is decorated with leaves and flowers. And a lot of the swedes get pissed out of their senses. Beppe enjoys his first summer. 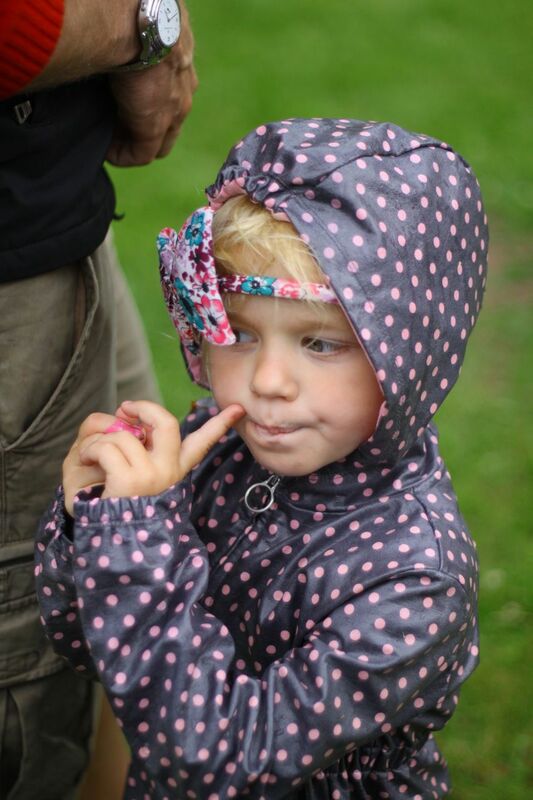 Typical for midsummer is strange weather. Still june. Hot and cold. And always rain and sun. The big midsummer issue is always – if to set the table outside or inside? Mostly we run in and out. With the food, tables, chairs, decoration and everything else. Quite a funny picture. Swedish people carrying things inside outside then inside again. And looking up to the sky praying to the weather God to behave. We celebrate summer who not always care to show up. These are some of the things we carried outside… Enjoying a couple of hours chill time in the sun. In the afternoon we went to the festivities of the village next to ours. It starts with loads of strong men raising the decorated pole. Leksand. 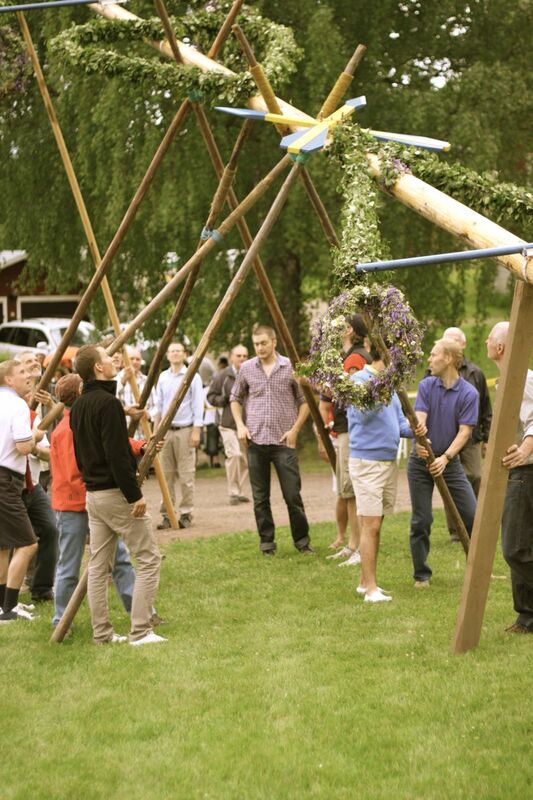 Leksand has a slogan – The capital of midsummer. It is very traditional and beautiful. Just look at these dresses. Next year I have to try it! When the pole is in position it is dancing time. The small frogs are funny to watch. (It is true – this is what we sing). Another one is called three little ladys are going to the market. Sun and rain it is. 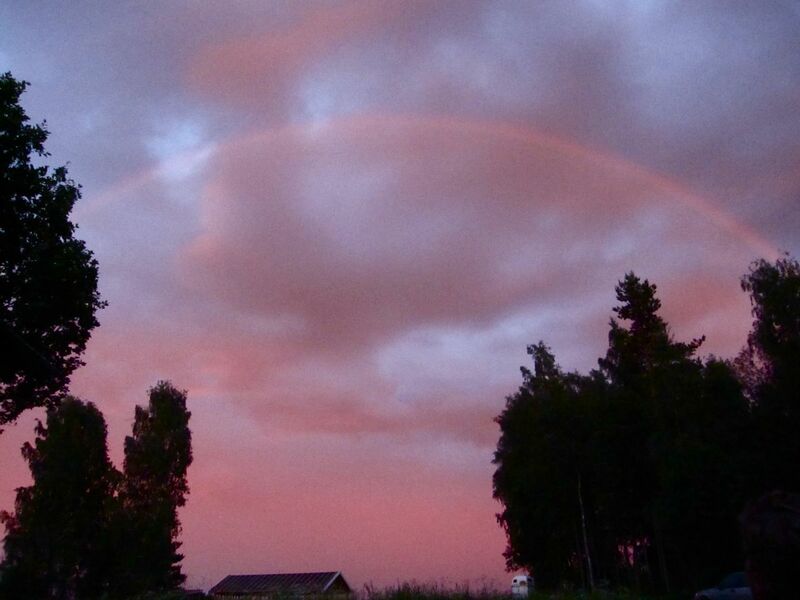 At midnight the day had a perfect endning with pink and a rainbow! Newer Post The 100 bucks of kitchen upgrade	Older Post Midsummer nights dream! look at how perfect that flower wreath is! what a great tradition. 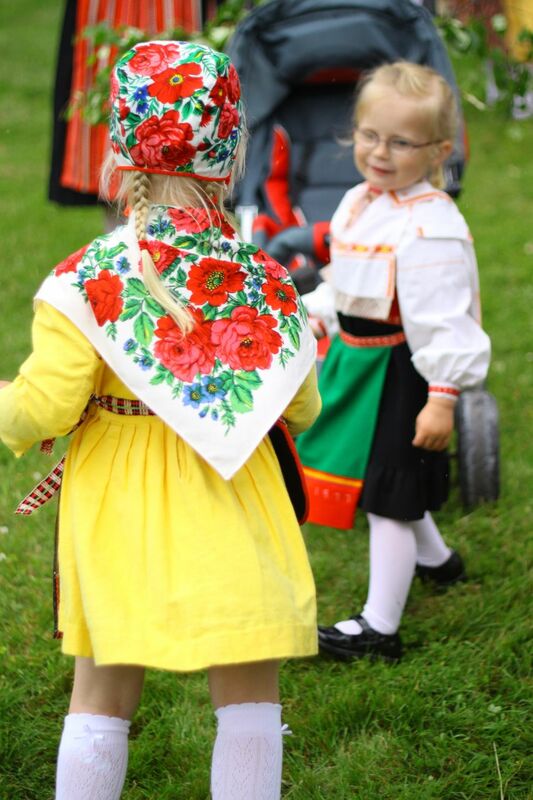 Those flower wreaths are adorable and so are the children! Looks like a lot of fun!! ok, so a WHILLLLLEEE back i stumbled across your blog… and enjoyed reading it from time to time. then i stumbled on it again!! and saw you spent midsommar in leksand!! 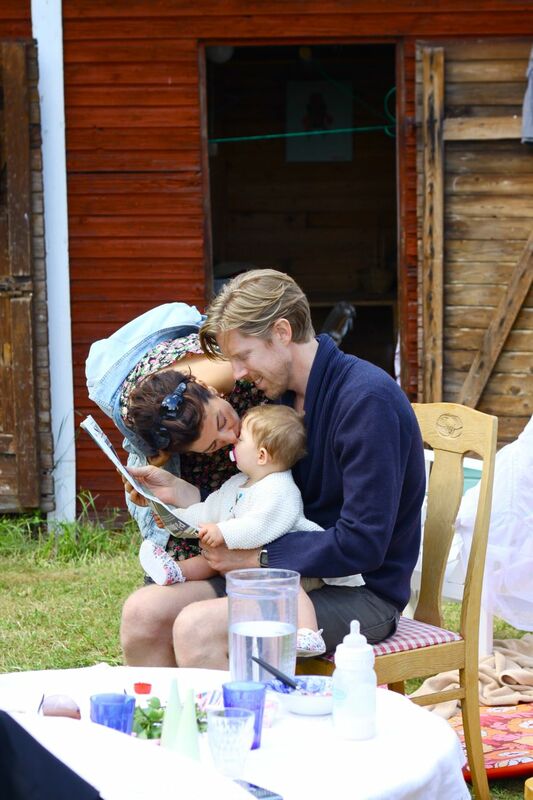 i am oh soo jealous… that’s where i’m from, or my family is from… it was soooo great to see pics of midsommar… when i couldn’t go… were you at gropen?? also, where is your mother-in-law’s cottage? 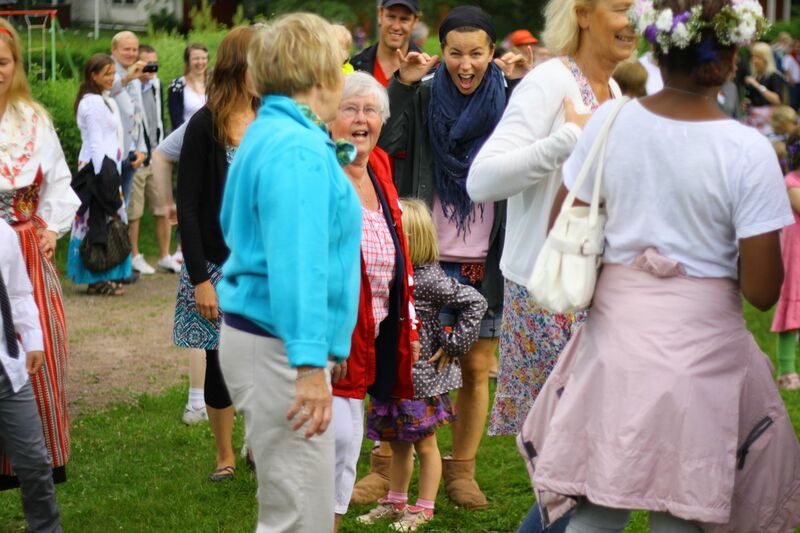 my mormor (and other family & friends) in s-näs :) in fact i spent a year going to school in leksand. excuse the super long comment… and thanks for sharing in the midsommar goodness. much appreciated as i was REALLY missing it this year!! 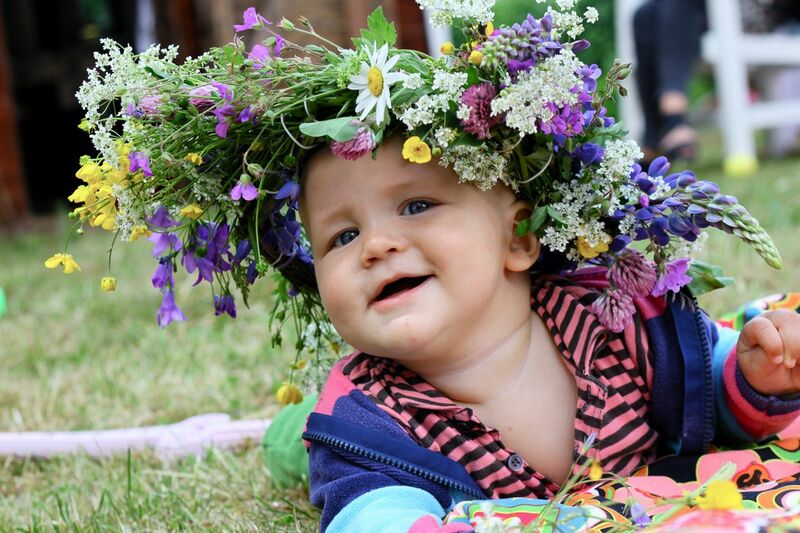 Lovely photo of the baby with the flowers. i just now stumbled across your blog – these photos are beautiful! looks like a wonderful festivity. i spent just two days in stockholm last year and i really really want to get back and visit more of sweden. So much fun! Sweet! Flowers in your hair? Lovely! 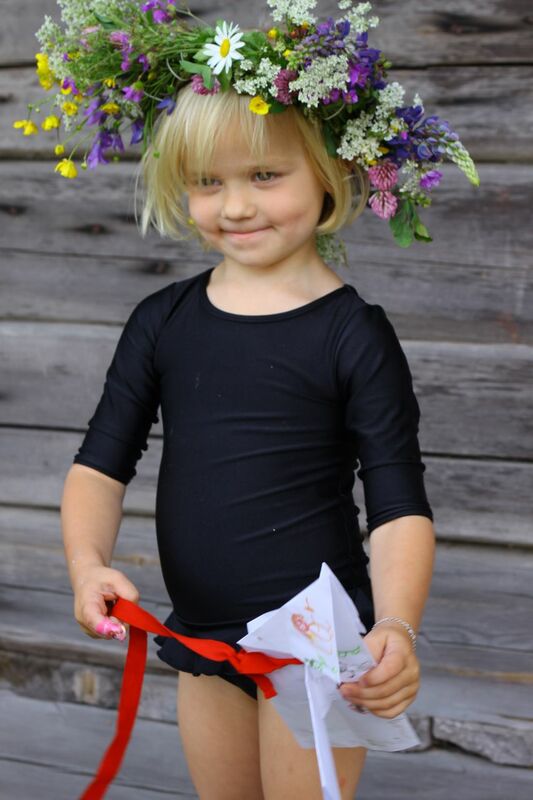 Thanks for sharing this about midsummer. You are very lucky to have such traditions. I love the beautiful dresses. I can’t believe the midnight sky! I’ll have to show my children these photos! Catch up on your blog now and then and love it. 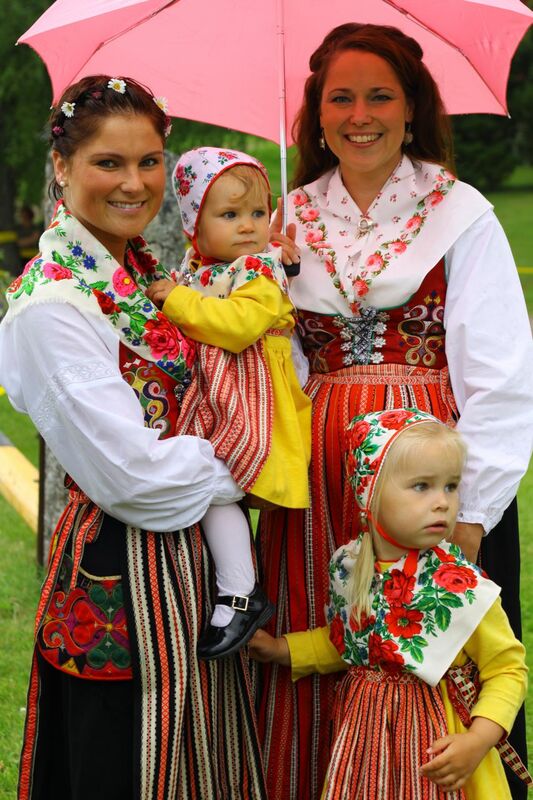 Thanks too for reminding me about the wonderful holiday I had last year- from Australia we spent three beautiful weeks in Sweden including some time in Dalarna! Swimming in lakes, visiting Carl Larsson’s house. My husband has fantastic cousins there so there was much wine drunk in the lighth of the night. Lovely!! 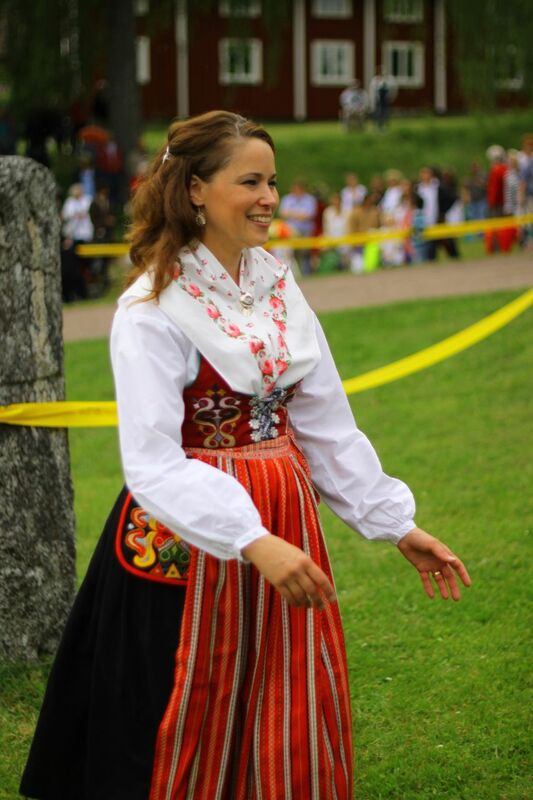 I’m so glad to have found your post about Midsummer’s! I now live in a little Swedish town in the middle of the USA and shared your post on facebook with one of your adorable pictures. So wonderful and thank you! Amy – so glad you like it! Will try to do an update this year!